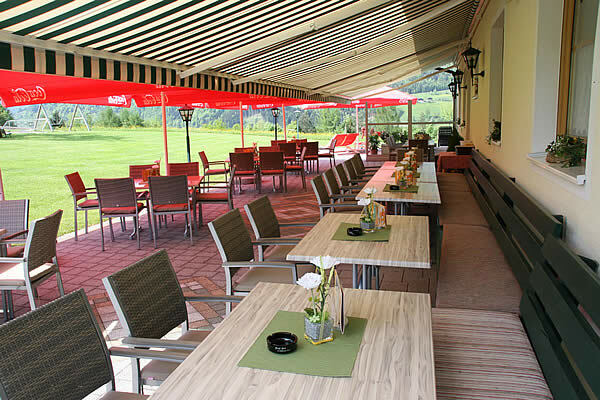 The Restaurant with its wonderful sunny terrace and cosy "Gaststube" invites you for a meal. Enjoy a hearty meal at our hotel. 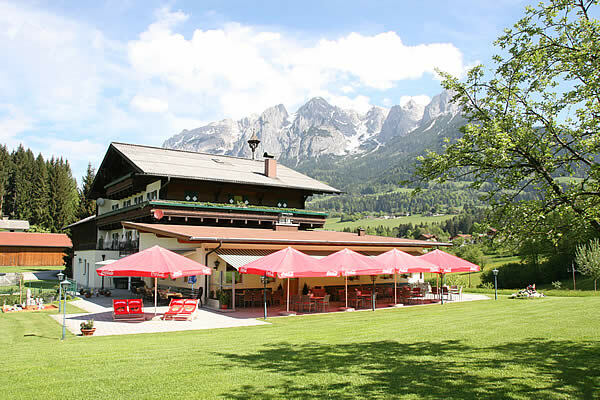 When returning to the hotel, after a long, arduous day of skiing or hiking, hot drinks, cook refreshments and tasty meals await you. Enjoy yourself to the full, and tank new energy for the following day. Refuel a bit of warmth on our wondeful sunny terrace, enjoy a cup of coffee and a piece of cake. 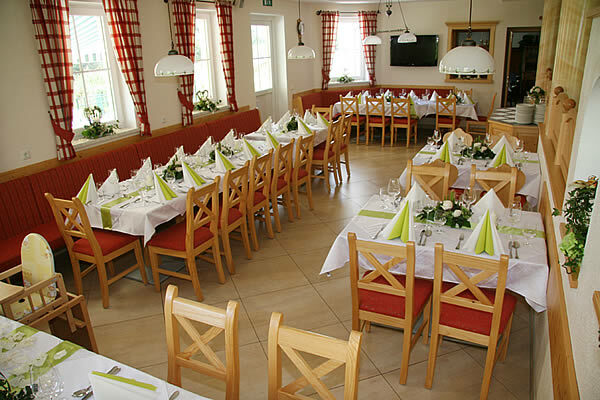 Ease the events of the day during the evening in our cosy "Gaststube" and enjoy a good glass of wine. You will be spoilt with culinary specialities from the region. You will find the perfect meal on our diverse menu! So, as you see, we look after your personal well-being, and you are well taken care of, at our hotel. Send us your non-binding holiday enquiry now!